I just spice up my wardrobe with these two pairs of shoes. 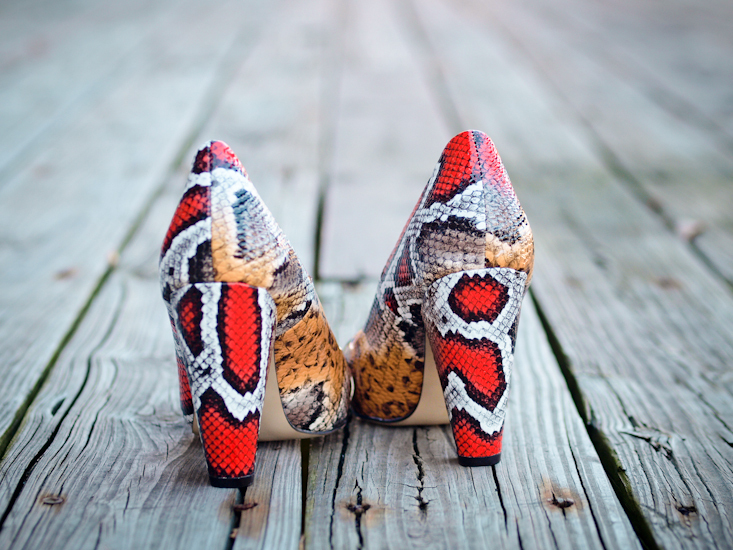 Nine West red suede heels and the second one, these vibrant colorful snakeskin pumps. I was never a fan of "snakes, actually they terrify me, but for having the pattern on small accessories, I will say "YES". Browsing the internet these days, looking for some printed shoes, I stumbled over these particular shoes that caught my attention immediately. Can't wait to wear them and you will get to see a first sneak peek on Instagram . LOVE. LOVE. LOVE these shoes! Amazing shoes!! Love the bright colors! Cant wait to see them on you! I wasn’t expecting those shoes to be from Urban Outfitters, but they are fabulous. I love all of the colors in that snakeskin print. first pair of heels are amazing! I love those red ones! Well they’re both kinda fierce! 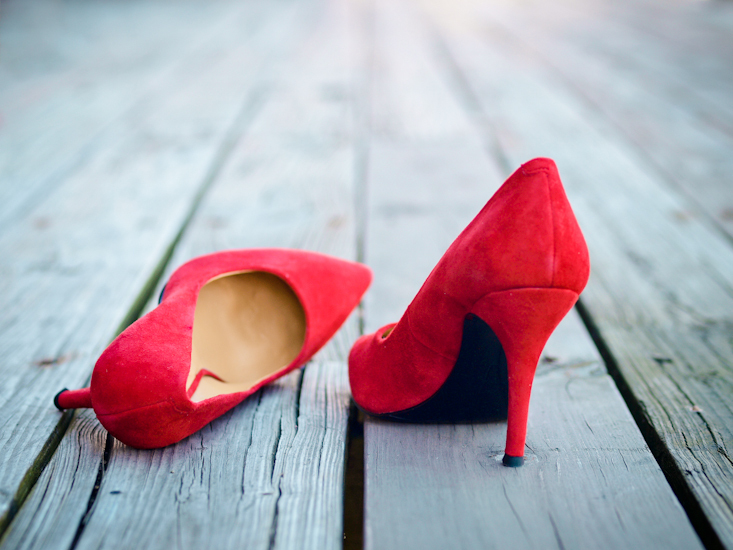 Love teh red suede shoes! Perfect for pretty much every occasion or simply a pop of colour! Those snakeskun pumps are amazing! Both are beautiful dear Veronica! I especially like the first one – the combo of the colours is fantastic! both are awesome. really digging the snakeskin pair!